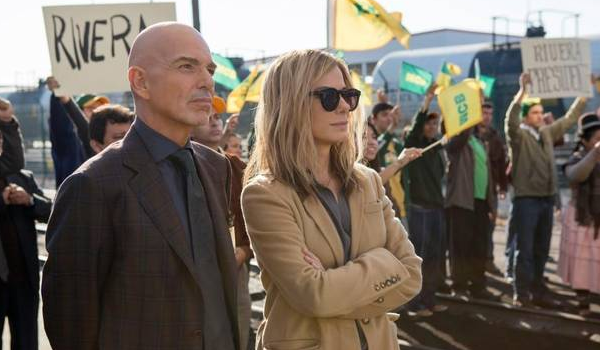 Sandra Bullock takes on the world of politics with Our Brand Is Crisis, which Warner Bros. will release this October. Will the political comedy connect with mainstream moviegoers? This week BoxOffice takes a closer look at its commercial prospects. - Sandra Bullock is bound to be a part of the Oscar conversation. - A political satire could be welcomed by the public now that we're in the midst of 2016 Presidential Election craziness. - There's enough distance between this and some of the stronger adult-skewing flicks opening in October. - Why pay for what you can get for free? Some moviegoers may think that Donald Trump is all the political entertainment they need. - Bullock has definitely had her share of misses.